The location doesn't get any better than the B Resort & Spa, an Official Walt Disney World Hotel in Lake Buena Vista, Florida. 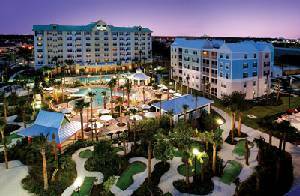 As a guest of the hotel, you are staying inside the Walt Disney World Resort. 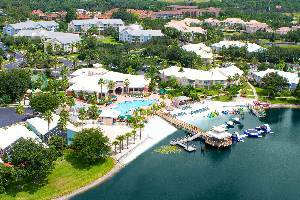 This modern resort is perfectly situated to be your gateway to all the wonderful activities and attractions the Orlando, Florida area has to offer. Take advantage of the hotel's complimentary Downtown Disney shuttle transportation to explore all the magical venues of the Walt Disney World Resort or take a short drive into Orlando, which offers a fabulous concentration of shopping, dining, and entertainment venues! Enjoy upscale shopping malls, factory outlets, premier golf courses, kid-friendly entertainment, and numerous dining options; your memory-filled Orlando vacation is never going to be boring! 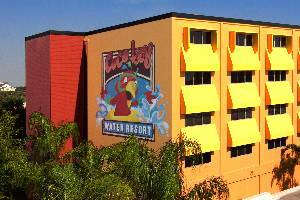 The family-friendly CoCo Key Orlando Hotel and Water Resort is a destination in itself, featuring Orlando's largest canopy-covered and outdoor water park. Tropical decor, casual dining and a giant arcade create a memorable Orlando experience. Grown-ups take advantage of Wi-Fi Internet access and the resort's state-of-the-art fitness center. When it's time for something different, Universal Orlando Resort and downtown Orlando are all just minutes away. 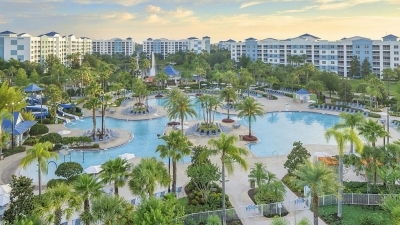 CoCo Key Orlando Hotel and Water Resort is entirely smoke-free. 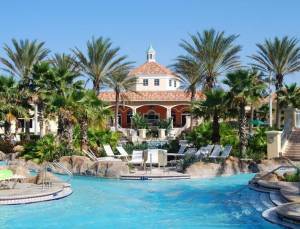 Visit CoCo Key and soak up the tropical atmosphere and sit poolside while kids splash and play at our Orlando resort. With 54,000 sq. ft. of slides, rides and pools, the water park provides non-stop fun for every age! The only canopy-covered water park in Orlando so kids can play all day without the harmful Florida rays. When the sunshine fades, head indoors to the Key Quest Arcade with 6,500 square feet of games and activities. 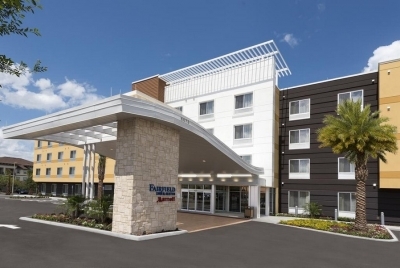 Off Interstate 4, this straightforward all-suite hotel is 2 miles from Universal Orlando Resort theme park and 3 miles from the Orlando Eye Ferris wheel. Casual suites feature complimentary Wi-Fi and flat-screen TVs, as well as microwaves and minifridges. All have tea and coffeemakers, plus sitting areas with pull-out sofas. Access To The Onsite Gym, Heated Outdoor Pool & A Hot Tub, Plus Sunloungers. 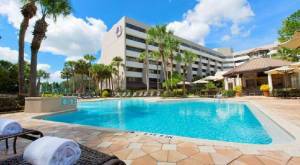 Experiencing Walt Disney World is easy when staying at the DoubleTree Suites by Hilton Orlando. With free shuttle service to the resort's most popular sites, including the Magic Kingdom, Epcot Center and Typhoon Lagoon, every stay is sure to be unforgettable. 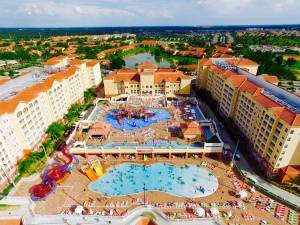 Located just off popular International Drive, the Enclave Suites, a Sky Hotel and Resort lies in the heart of the Orlando action, with Universal Orlando Resort, SeaWorld Orlando and Walt Disney World all just minutes away. 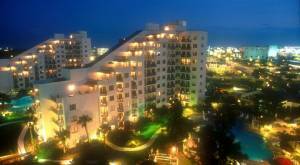 Families and groups settle into suites that feature fully equipped kitchens and private balconies. With the complimentary Grab n Go breakfast, two free form Olympic-size pools, an indoor heated pool, Jacuzzi and fitness center at Enclave Suites, a Sky Hotel & Resort, swimmers, water babies and fitness buffs find plenty of space to work out and play. 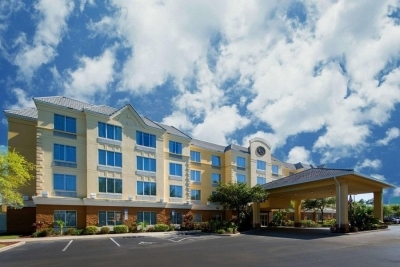 This hotel is less than one kilometer from Walt Disney World Theme Park, and a 5 minute drive from Orlando Premium Outlets. It offers an outdoor pool, daily continental breakfast and a game room. Modern rooms offer flat-screen cable TVs and Wi-Fi. A microwave, fridge and coffee maker are provided in each room at Fairfield Inn & Suites by Marriott Orlando Lake Buena Vista. Rooms feature bright colors and include a sitting area, some with a sofa bed. All rooms come with free wired internet. 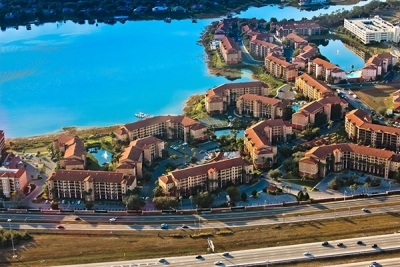 Guests of the Orlando Lake Buena Vista Fairfield have free access to the on-site gym and business center. 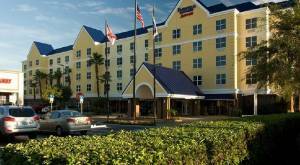 The Holiday Inn Resort Lake Buena Vista is located just minutes from all of Orlando`s top attractions. 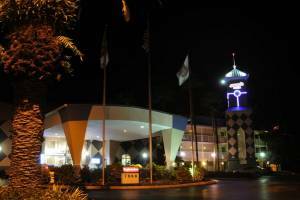 When you stay at the Holiday Inn Resort Lake Buena Vista, you are so close to the entrance to Walt Disney World Resort, you can almost feel the Magic! 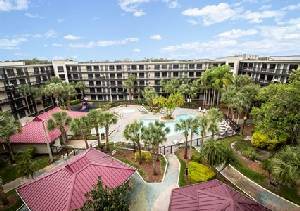 The Holiday Inn Resort Lake Buena Vista is conveniently located just outside the gates of Walt Disney World. 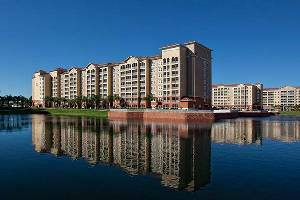 Feel free to explore the Lake Buena Vista areas plentiful dining, shopping, nightly entertainment and picturesque setting. Its your vacation, the friendly Holiday Inn Resort staff will go out of their way to help you enjoy every minute of it. 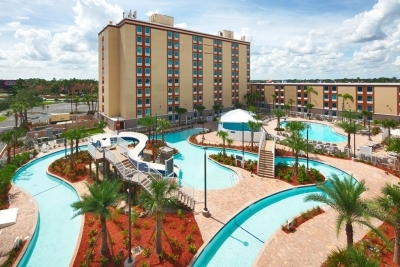 Enjoy cozy, charming accommodations and free shuttle transportation to Walt Disney World, SeaWorld Orlando and Universal Studios Florida at the 100 percent non-smoking Quality Suites The Royale Parc hotel in Kissimmee, FL. This highly desirable, all-suite hotel offers a New Orleans French Quarter theme replete with a five-story garden atrium laced with wrought iron railings that makes the hotel ideal for Orlando family vacations. 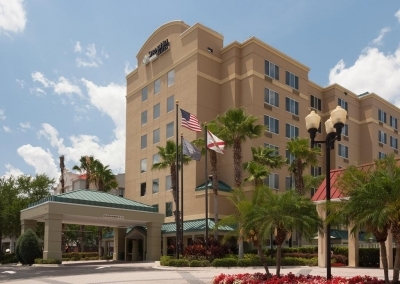 The hotel is next door to the Disney-inspired town of Celebration, putting guests within walking distance to a grocery store and a wide variety of shopping, restaurants and family attractions, including OldTown. Stop by pet-friendly hotel's fitness center, lagoon-style outdoor heated pool with poolside bar, hot tub, children's pool and play area and two on-site eateriesCajun Quarters Restaurant and Perkys Pizza. The Quality Suites The Royale Parc Suites features spacious one- and two-bedroom suites that accommodate up to 10 guests and feature separate rest and play areas. Each also features a fully-equipped kitchenette and view of the garden atrium and pool area. Every suite includes modern cherry wood furnishings, deluxe queen sofa sleepers, luxurious Serta bedding, baths with tubs and showers, cultured marble vanities, coffeemakers, microwaves, designer drapes and carpet, stone-tiled foyers and 32-inch flat-screen plasma televisions in the living room and master bedroom. 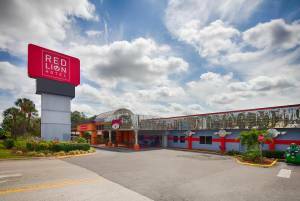 Enjoy a magical getaway at Red Lion Hotel Orlando - Kissimmee Gateway. 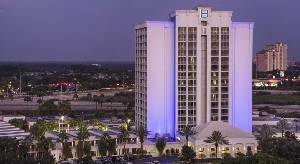 Located in the heart of the action our hotel offers easy access among hotels near Disney World Resort. Vacation on 16 spectacular landscaped acres featuring three pools, two fitness centers, a rejuvenating spa, and comfortable Orlando hotel accommodations. We're the closest hotel to Disney World's Magic Kingdom, which is only a half a mile away, and Universal Studios is also only a few minutes away. Enjoy our Free Disney World Resort Hotel Shuttle on your next adventure. Upscale shopping, prestigious golf courses, theaters, and more Orlando area attractions are waiting for you in Orlando and Kissimmee. 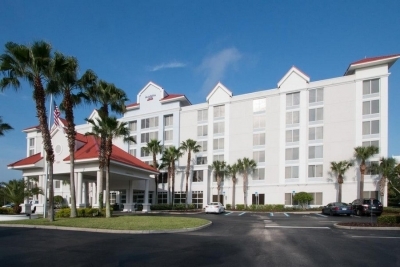 Our Red Lion Orlando hotel also has onsite hotel amenities to make your stay even better. Dine at the buffet in Angel's Diner. Host your event or wedding reception in one of our four event rooms, then head to our landscaped courtyard for a picturesque photo op. Entertain yourself with complimentary HBO and high speed Wi-Fi, and enjoy our extra touches like in-room safes, granite countertops, and mini-fridges. Take advantage of our specials and packages to get the best value during your vacation. 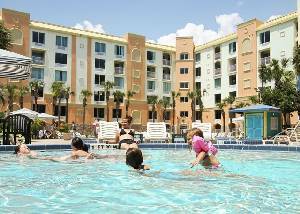 All The Comforts Of A Fully Furnished Home And Within Minutes of Orlando's World-Class Theme Parks. Luxury Amenities Including A Relaxing Spa, Award-Winning Smokehouse Grill. Enjoy 14 Heated Pools and Hot Tubs Along With Activities & Special Events.